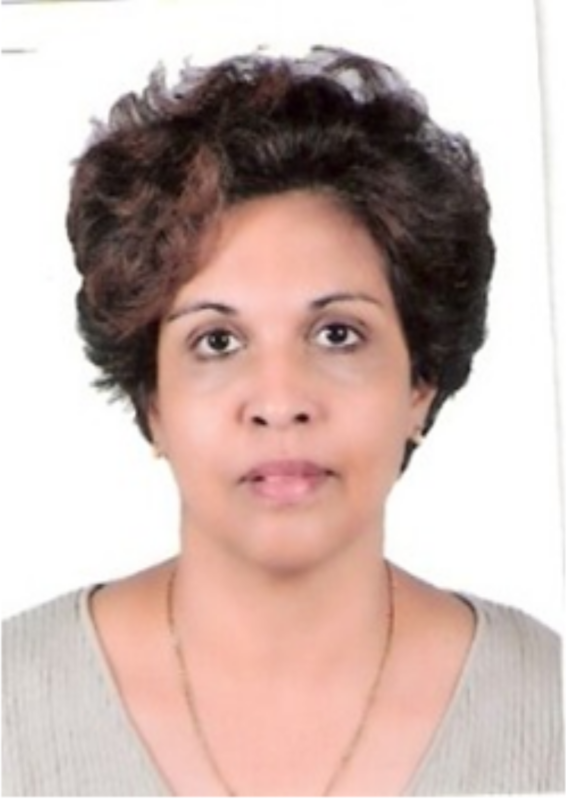 Fozeya Ibrahim Al Mahmoud is Acting Director of the Environmental Outreach Division - Environmental Information, Science and Outreach Management Sector - Environment Agency – Abu Dhabi, United Arab Emirates. 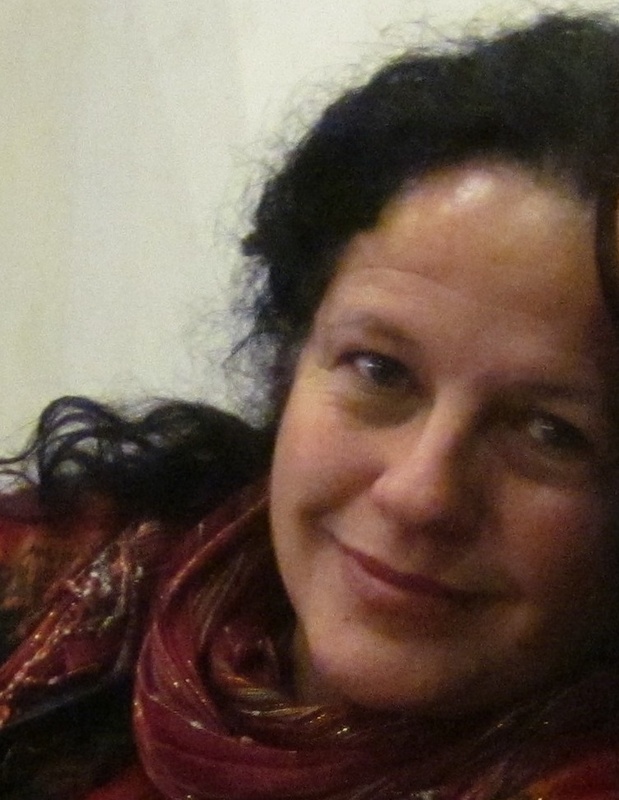 Fatima Alves is a member of the Centre of Studies on Migration and Intercultural Relations (CEMRI) at the Universidade Aberta (Portuguese Open University), Portugal. 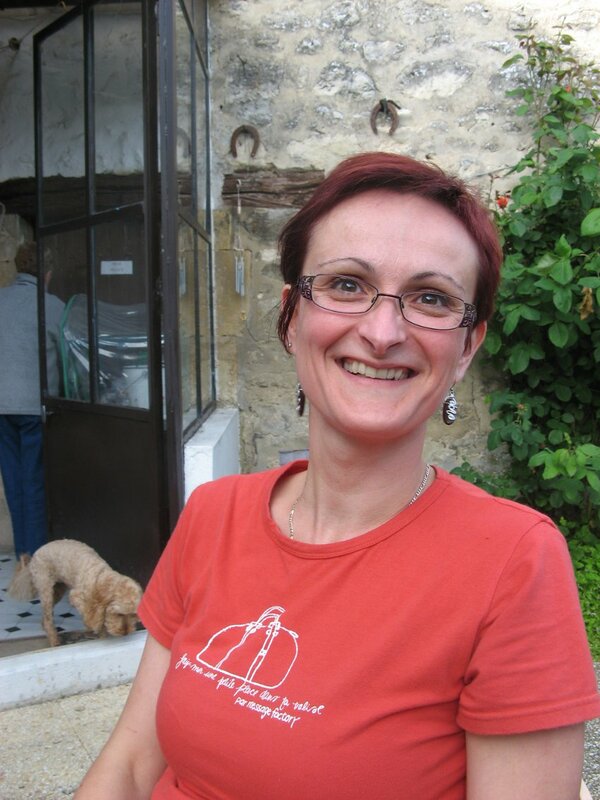 She also works at the Centre for Functional Ecology (CFE) at the University of Coimbra – Portugal. Her research Interests are: Social and environmental citizenship; Health and Environment; Participation; Social Policies; Lay rationalities; Social and Environmental Inequalities; Wellbeing. Alberto Arenas is an Associate Professor in the Department of Teaching, Learning, and Sociocultural Studies in the College of Education, University of Arizona, United States. His research focuses on Environmental and Sustainability Studies; Productive and Work Education (also known as Vocational, Technical and Career Education); History of Education; and Education and Human Rights. Previously he was an assistant professor at the University of Massachusetts, Amherst where he taught at the Center for International Education. Since 2008, he has been co-director (with Professor Marcela Vásquez-León) and principal investigator of the Western Hemisphere Institute. He is the author of over 60 publications and conference papers, and his manuscripts have been published in some of the leading educational journals in the world. In addition to being an editorial board member of Latin American research journals, he was appointed member of the Education and Communication Committee for 2009-2012, of the International Union for Conservation of Nature (IUCN). Miguel Ángel Arias Ortega es profesor de la Universidad Autónoma de la Ciudad de México. Líneas de Investigación: Educación Ambiental y Sociedad Civil; Formación de Educadores Ambientales; Construcción del campo de la educación ambiental. Abel Barasa Atiti is Research Fellow at the Institute of Advanced Studies, United Nations University, Japan. Ulisses Miranda Azeiteiro is Assistant Professor at the Universidade Aberta (Department of Exact Sciences and Technology) Portugal, where he teaches Environmental Education, Education for Sustainable Development and Sustainability Science, Biology, Biodiversity and Research Methodologies. He is Senior Researcher at the Centre for Functional Ecology of Coimbra University where he is the Coordinator of the Group Ecology and Society. He was the Chairman of the 1stWEEC. Antonella Bachiorri is a Biologist. She coordinates research projects at the Italian Centre for Research and Environmental Education (C.I.R.E.A), Department of Biosciences, University of Parma, Italy. Her academic interests include education for sustainability in school and extra school contexts (whole-school approaches to sustainability, teacher’s training, teaching methodologies, environmental values, etc.). Mamadou Bhoye BAH Candidat au Ph.D. en éducation à l'Université du Québec à Montréal (UQÀM) est titulaire des cours d’éducation relative à l’environnement et de méthodologie de recherche au Centre d’étude et de recherche en environnement (CERE) de l’Université Gamal Abdel Nasser de Conakry (UGANC). Ses intérêts de recherché portent sur le renouveau pédagogique universitaire. Ses champs de compétence: enseignement, recherche, communication environnementale, animation pédagogique, conception d’activités éducatives et de ressources pédagogiques, hygiène et assainissement, Égalité entre femmes et hommes et le VIH SIDA. Ses articles scientifiques traitant des questions de représentations sociales de l’environnement, de l’environnement urbain et de l’éducation relative à l’environnement en milieu scolaire. Aura Teresa Barba Lopez es economista. Especialista en Desarrollo de Áreas Amazónicas por la Universidad Federal Do Pará, Núcleo de altos Estudios amazónicos, Belén Do Pará, Brasil y en Educación Ambiental por la Universidad de Quebec a Montreal donde es también maestrante en el area de Educación con énfasis en ecodesarrollo y salud ambiental. Es docente titular de la Carrera Ingeniería Comercial materia "Economía Nacional"; Docente del Curso de Postgrado"Animación Pedagógica en Educación Ambiental", Universidad Gabriel Moreno, Bolivia; Co-Directora del Proyecto interuniversitario “Educación ambiental en la Amazonia y Directora Nacional del Proyecto Ecodesarrollo y Salud Ambiental (ECOMINGA), en la Amazonia Boliviana, en co-gestión con la Universidad de Québec en Montreal. Ha sido miembro de la Comisión de Educación y Comunicación de la UICN por el periodo 2000-2004 y Secretaria General de la Asociación de Universidades Amazónicas (UNAMAZ). Entre los reconocimientos, en 2008 ha sido nominada economista destacada por la asociación de mujeres profesionales (Amup). Valdo Barcelos es profesor de la Universidad de Santa Maria, Rio Grande do Sur, Brasil. Actua en el grupo de investigación Kitanda –Educación e intercultura y en el grupo Educación intercultural y movimientos sociales. Entre sus líneas de investigación: Educación para la sostenibilidad; formación, saberes, desenvolvimiento profisional. Valdo ha escrito sobre: Infância, Imaginación y Ecología y el lugar que ocupan en la formación de profesores y profesoras. Million Belay Ali was working in conservation, environmental education, sustainable development, ecological farming and has an extensive facilitation experience both in Ethiopia and in Africa. He is the founder of MELCA - Ethiopia and is a board executive of the African Biodiversity Network. He also serves on the board of the Alliance for Food Sovereignty in Africa called AFSA. He is an environmental activist passionately working on bio-cultural diversity. A decade ago, he started an intergenerational school learning program called “youth for cultural biodiversity” in Ethiopia. He now runs the program in Ethiopia and in other seven African countries. He has MsC in Tourisms and Conservation with the University of Kent, Canterbury, UK. He is a PhD holder from the Rhodes University, South Africa, and the title of his thesis is 'participatory mapping, learning and change in the context of bio-cultural diversity and resilience. His current research interest is in intergenerational learning and resilience. 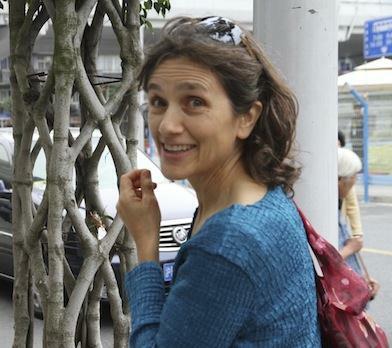 Olga María Bermúdez Guerrero es Socióloga, Especialista en Evaluación de Proyectos, Máster en Educación Ambiental, Coordinadora de la Red Temática de Educación Ambiental y del RCE Bogotá, Profesora del Instituto de Estudios Ambientales de la Universidad Nacional de Colombia. Thomas Berryman est Professeur en éducation relative à l'environnement Département de didactique Université du Québec à Montréal. Rita Bissoonauth is presently a Senior policy officer in Education at the African Union Commission, based in Ethiopia. One of her tasks is to Formulate continental policies, programs and project proposals relating to issues such as Teacher Education, Higher Education, Gender and Culture in the African continent. She has also worked on numerous regional and national projects related to Environmental Education. Her Ph.D. thesis was on developing an framework for evaluating Master programs in Environmental Education using distance education for teacher education. 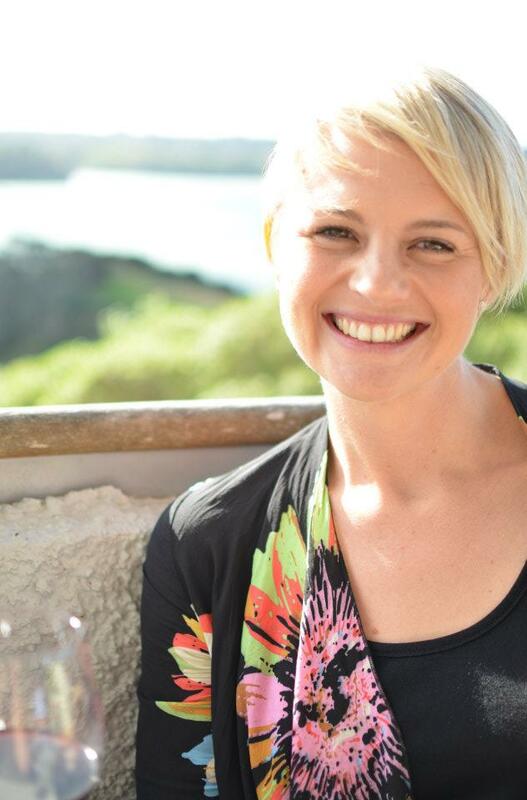 Jessica Blomfield holds a Master in Education for Sustainability from Griffith University. 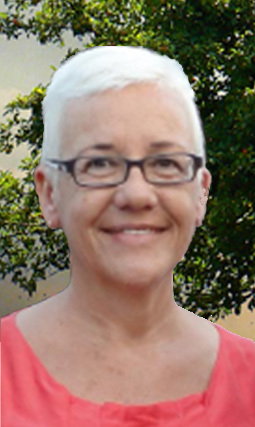 Her research interests are: emotional wellbeing and resilience in Environmental Educators, environmental education in business and industry , environmental ethics. Her studies seek to understand the notion of hopelessness and despair amongst environmental educators and gain insights into what sort of professional development activities may be useful in strengthening hope and resilience to such experiences. Aidil Borges works at the Ministério de Educação e Desportos, Cabo Verde. In the last few years she has been dealing with public policies in environmental education with a very active participation in environmental education networks, alongside with several international organizations such as: NEREA-INVESTIGA (Lusophone Network of Environmental Education and educational community) for the Treaty on Environmental Education for Sustainable Societies and Global Responsibility, PARDELA Network (Spanish and Lusophone network for management of natural and protected areas), Environmental Education Network from Sahel (West Africa), among others. Judy Braus is the Executive Director of the North American Association for Environmental Education (NAAEE) based in Washington, USA. Michael Brody is professor at Montana University, United States of America. José Antonio Caride Gómez es catedrático de Pedagoxía Social y Coordinador-Director do Grupo de Investigación SEPA-Interea. Es Presidente da Sociedad Iberoamericana de Pedagogía Social (SIPS) Dpto. de Teoría da Educación, Historia da Educación e Pedagoxía Social, Facultade de Ciencias da Educación - Campus Vida Universidade de Santiago de Compostela, España. Ju Chou is a professor in environmental education/education for sustainable development at the Graduate Institute of Environmental Education, National Taiwan Normal University. Chou’s professional involvement are mainly teaching, research and development in formal and non-formal EE and ESD, environmental communication and environmental interpretation. He is also one of the key person of EE legislation initiative and helped the National Environmental Education Law passed by the national parliament in 2010 in Taiwan. He had abundant research and development experiences and has conducted many EE related research projects for Taiwan Forestry Bureau (development of its Nature Center system across the country), Ministry of Education and National Science Council and so forth. His research interests areas include: National and international policies and strategies in environmental education and education for sustainable development; Basic constructs and concepts of environmental education, and curriculum planning; Assessment and evaluation of formal and non-formal environmental education program; Issues and trends in urban environmental education. He is also working as advisory editor of major local and international academic journals of EE. 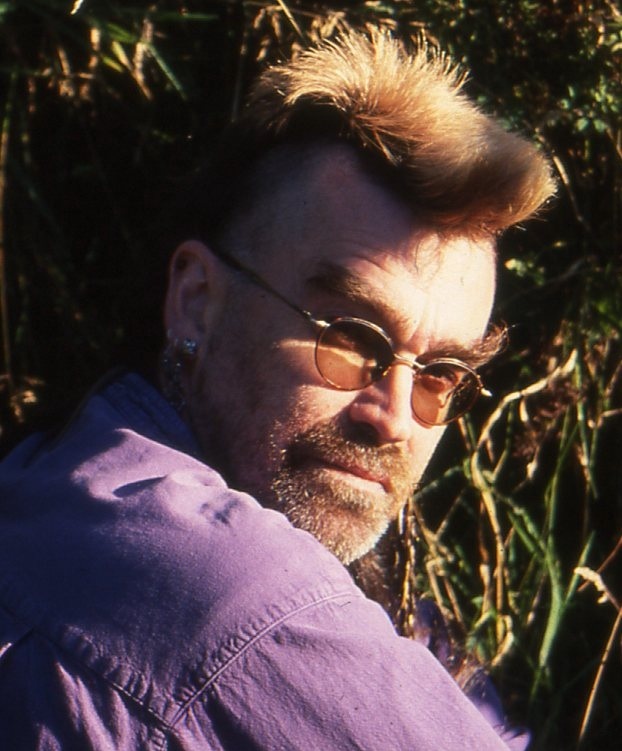 Peter Blaze Corcoran is Professor, Environmental Studies, and Director of the Center for Environmental and Sustainability Education, College of Arts and Science, Florida Gulf Coast University, United States of America. His research Interests are: Environmental education, education for sustainable development, Earth Charter education, and higher education for sustainability. Current Projects: Work to advance the research dimensions of the United Nations Decade of Education for Sustainable Development (DESD) through active scholarship on the Global Higher Education for Sustainability Partnership – Resource Project and through the UNESCO Reference Group for the United Nations Decade of Education for Sustainable Development. Environmental education and education for sustainable development in the South Pacific, emphasis on Fiji. Earth Charter in Southern Africa, emphasis on education. 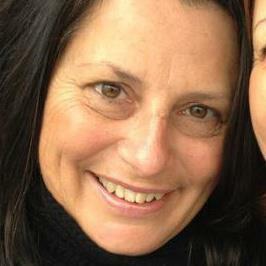 Julie Davis is Associate Professor in the School of Early Childhood, Queensland University of Technology. Her teaching and research interests are in early childhood education for sustainability and reorienting teacher education for sustainability. Julie’s advocacy for early childhood education for sustainability reaches back to co-founding the Queensland Early Childhood Environmental Education Network in 1996, now the Queensland Early Childhood Sustainability Network (QECSN). Julie is an active researcher, with extensive publications and a strong local and international professional development profile. Norizan binti Esa is a senior lecturer at the School of Educational Studies, Universiti Sains Malaysia, Pulau Pinang, Malaysia. Her research interest is science education, environmental and sustainability education and ICT in education. Her current research project is on biodiversity education, ecological thinking and teacher understanding of Education for Sustainable Development. She is also a member of USM Secretariat for Local Knowledge and the editorial board for Local Knowledge as well as coordinator of seminars and conferences. 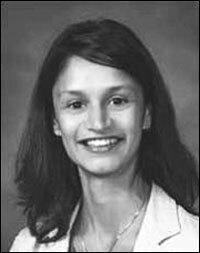 She is also on the editorial board of Educators Digest, School of Educational Studies. Elisabetta Maria Falchetti is Chief of the Educational Department of the Zoological Museum of Rome (Italy). Researcher in scientific education and communication (Formal and informal scientific education). Researcher in environmental education (Sustainability education). Researcher in scientific museum communication, in museum visitor studies and socio-cultural inclusion and accessibility. Researcher in teacher training (scientific teaching). Scientific communication and environmental education lecturer in Post-graduate courses and Masters in several Italian Universities. Author of many publications concerning Zoology, Conservation Biology, Scientific and Museum education/communication and environmental education. Edgar Gonzalez-Gaudiano is Senior Research Fellow at the Institute of Researches in Education, at the Universidad Veracruzana, Mexico, where he leads the research line of environmental education for sustainability. He is member of the Commission of Education and Communication of IUCN and former Regional President for Mesoamerica (2001-2006). He was the main editor of the Iberoamerican journal, Topicos en Educacion Ambiental. His current research focus is on education and communication related to climate change, vulnerability, social resilience and risk of coastal communities. Roland Gerard est co-directeur (et co-fondateur) du Réseau Ecole et Nature (REN), membre de la commission nationale française de l'UNESCO, co-président du Collectif Français pour l’Éducation à l'Environnement vers un Développement Durable (CFEEDD) créé en 1997, avec l'objectif de constituer une plate-forme légitime et représentative de la société civile française, impliquée dans l'EEDD. En 2009, Roland a participé à la création de l’Espace National de Concertation (ENC) pour l'EEDD, dont le but est de donner à la France une gouvernance pour l’EEDD dans laquelle toutes les parties prenantes se reconnaissent. Yves Girault est Professeur au Muséum National d'Histoire Naturelle, Paris, France. Chercheur statutaire au sein de l'UMR 208 MNHN/IRD Patrimoines Locaux. Chercheur régulier, Centre de recherche en éducation et formation relatives à l'environnement et à l'écocitoyenneté, UQAM, Montréal, Québec, Canada. Ana Godoy, es Dotora en Ciências Políticas por la PUC-SP e Pós-doutoranda en la Faculdad de Educación de la UNICAMP (universidad de Campinas) Brasil. Brian Grimwood, Born and raised in Sarnia, Ontario at the southern point of Lake Huron and the mouth of the St. Clair River, Bryan now resides with his family in Kitchener, Ontario, a short hike to the shores of the Grand River. In addition to being prominent features in the landscapes Bryan has inhabited, rivers are also central to his personal and professional travel experiences as a canoe tripper, outdoor educator, and guide. Over the last decade, rivers have assumed another layer of meaning as a context for carrying out research (i.e., learning with others) about geographically informed notions of nature-culture, ethics, and mobility. 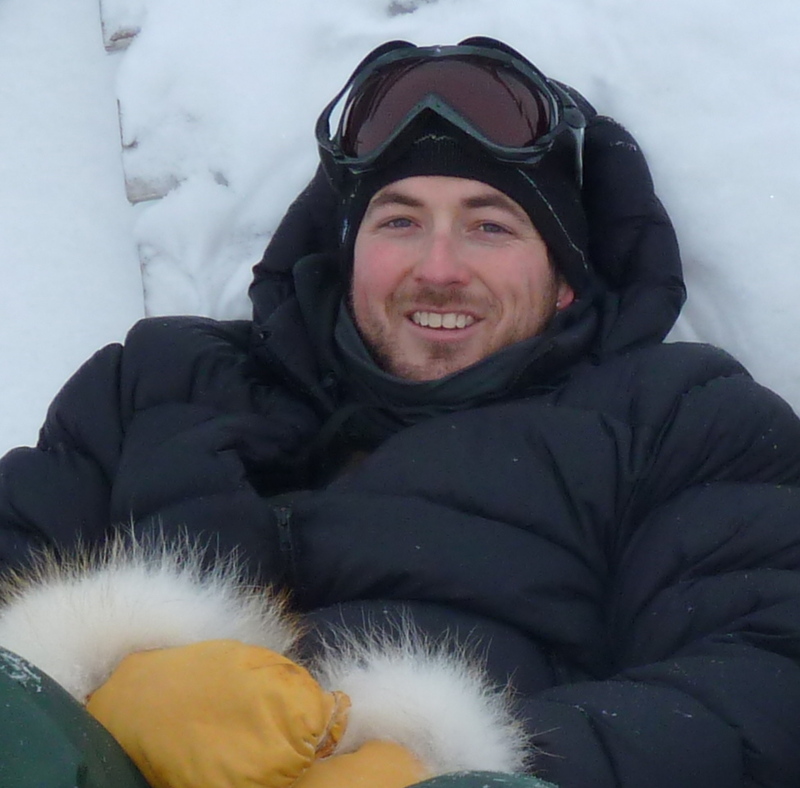 During his Master of Arts degree (2005) in Recreation and Leisure Studies at Brock University, Bryan explored the nature experiences of river travel guides. 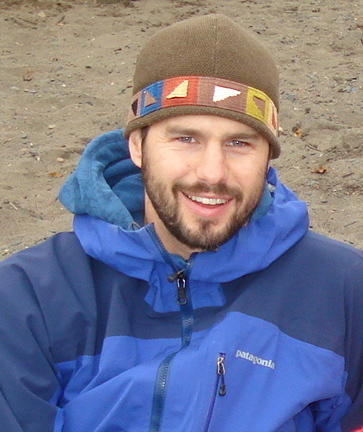 His PhD dissertation (2011) in Geography at Carleton University extended from this work by considering culturally diverse uses, relationships, and responsibilities associated with recreation/tourism and inhabitation along the Thelon River in Arctic Canada. River systems continue to be centre stage in Bryan’s current research and teaching role as Assistant Professor in the Department of Recreation and Leisure Studies at the University of Waterloo. Leandro Belinaso Guimaraes es licenciado en Ciências Biológicas, Maestro y Doctor en Educación. Professor de la Universidad Federal de Santa Catarina, Brasil. Su atuación está centrada en las áreas da formación de profesores/as y educación ambiental, trabajando con la imagen y el cotidiano. 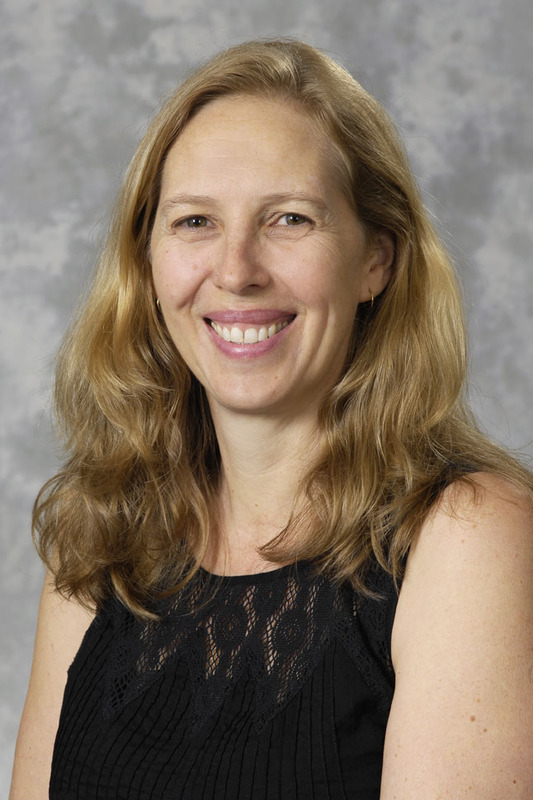 Jo-Anne Ferreira is Director of the Griffith University, Brisbane, Australia EcoCentre and convenes and teaches in the Master of Environment (Education for Sustainability) program in the Griffith School of Environment. 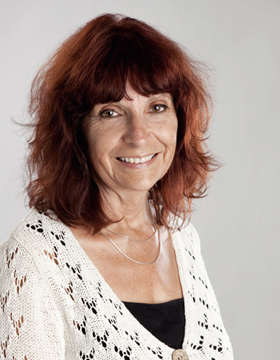 Jo-Anne was the Editor of the Australian Journal of Environmental Education between 2002-2009. She was Co-Chair of the 6th World Environmental Education Congress held in Brisbane in July 2011. She has worked with pre-service teacher educators, and as an English and Geography teacher in high schools in Australia and South Africa. She has developed and delivered professional development programs in Australia, South Africa and across the Asia-Pacific region. She is currently undertaking research on systemic approaches to change within pre-service teacher education and on how environmental citizenship skills are taught and learnt through sustainable schools. Marwan Haddad is a full professor of environmental engineering in the Department of Civil Engineering at An-Najah National University (ANU) in Nablus, Palestine. Haddad established the Water and Environmental Studies Center at ANU and he is now directing the Water and Environmental Studies Institute (WESI) at ANU. 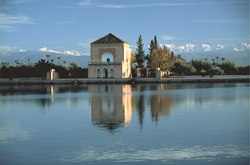 Haddad’s main research area is in water quality and resource management. He has published over one hundred seventy papers in his field. Paul Hart is Professor, Science Education, Faculty of Education, University of Regina, Canada. His research projects and interests are: Teacher Thinking and Practice in Environmental Education; Children’s Ideas about the Environment (Research Projects Funded by a Social Sciences and Humanities Research Council (Canada). He is author of more than 15 books and Monographs about reflective practice in teacher education; lifelong learning and sustainability; The question of quality in environmental education. Joe E. Heimlich is Professor and Specialist, Ohio State University (OSU), Extension@COSI>;; (Center of Science and Industry). Professor, School of Environment and Natural Resources, OSU, Ohio, United States of America. Professor, Environmental Science Graduate Program. Senior Research Associate, Institute for Learning Innovation. Paul Hemphill is a junior school teacher (elementary) at the Saint Stephen's College, Coomera, Queensland, Australia. My professional and research interests are related to awareness and capacity building with children, parents and colleagues. Most often greening, work and home, environments as well as waste and resource reduction. Saba Issa Holds a Master in Education for Sustainability from Griffith University, Australia. 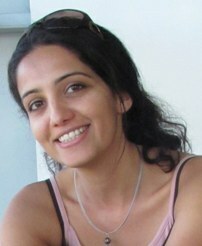 Originally from Iraq, she is interested in community environmental education in the context of political instability. Works as an environmental educator with the Wild Mountains Trust - a nonprofit environmental education and conservation organisation - leading programmes aimed at allowing young people to experience the natural environment while developing an understanding about the connectivity of all living and non-living things. Merce Junyent Pubill is a trained biologist with a PhD in Pedagogy. She is an associate professor at the Science Education Department and a member of the Complex Research Group based at the Universitat Autónoma de Barcelona (Catalonia, Spain). Her main research lines are: environmental education in teacher training; curriculum greening on higher education, professional competences in education for sustainability. She has been involved in the Spanish/Latin American PhD programme which brought together researchers who had an interest in sustainability research to Valsain for a research education doctoral programme. She has mentored many masters and doctoral research studies in environment and sustainable development. In addition, she is co-coordinator of the Research Network on Education for Sustainability (Edusost). Mphemelang Joseph Ketlhoilwe is a Senior Lecturer in Environmental and Sustainability Education within the Department of Languages and Social Sciences Education at the University of Botswana. His research interest is on environmental and sustainability education policy, mainstreaming environment and sustainability issues, gender based natural resources management, sustainable and renewable energy issues, and climate change mitigation and adaptation and teacher education among other research areas. Maushe Kidundo worked for the Nile Basin Initiative developing a curriculum framework for Nile Basin University and was involved in the MESA program in collaboration with UNEP for mainstreaming existing university curriculums to ESD. At present he works for Nagira Environment Lt, Kenya. Marianne Elizabeth Krasny is Professor and Chair in the Department of Natural Resources, and Director of the Civic Ecology Lab, at Cornell University, USA. Her work focuses on environmental education and social-ecological systems theory in urban and other settings in the US and internationally. She has a long history of conducting science and environmental education outreach in partnership with community-based organizations. She is interested in civic ecology practices, including community gardening, community forestry, watershed enhancement, and other forms of urban restoration. Her research investigates how environmental education programs situated in civic ecology practices foster resilience in social-ecological systems. Alex Kudryavtsev is a PhD candidate in the Department of Natural Resources at Cornell University. His research focuses on urban environmental education and sense of place. His research interests include urban EE, sense of place, ecosystem services, social capital, civic ecology, community-based environmental stewardship and environmental psychology. In addition, he is teaching two professional development online courses for environmental educators through the EECapacity project: Environmental Education in Urban Communities, and Measuring Environmental Education Outcomes. Since 2007, he is reviewer at the NAAEE annual conferences. 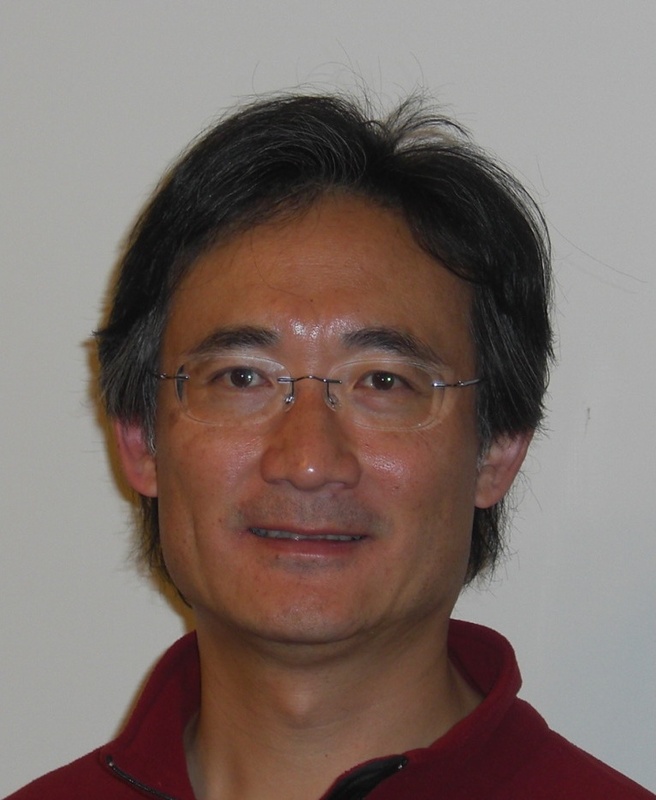 John Chi-kin LEE is Vice President (Academic) Chair Professor of Curriculum and Instruction at the Hong Kong Institute of Education, China. Sun-KyungLee is Professor in the Department of Science Education, Cheongju National University of Education, Republic of Korea. Her research interests are: Environmental education, Curriculum development, Teaching-learning strategy, Teacher education. Lesley Le Grange is professor and Vice-Dean (Research) in the Faculty of Education at Stellenbosch University, South Africa. Lesley teaches and researches in the fields of environmental education, research methodology, science education, and curriculum and assessment. He has 150+ publications to his credit, he serves on the editorial boards of Africa Education Review, Journal of Educational Studies, Southern African Journal of Environmental Education and Transnational Curriculum Inquiry (TCI): the Journal of the International Association for the Advancement of Curriculum Studies and is Associate Editor of the South African Journal of Higher Education. 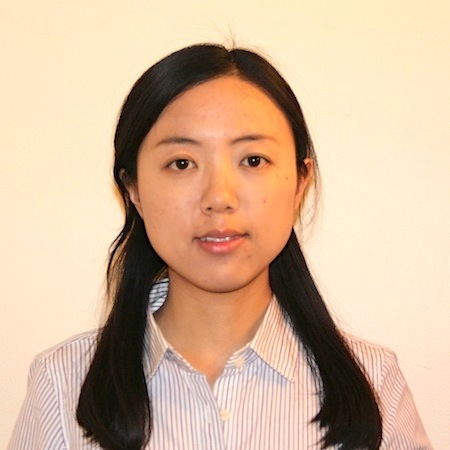 Yue Li is a PhD student in the Department of Natural Resources at Cornell University. Her research focuses on online communication, and social networks among environmental education organizations in the U.S. Her research interests include urban environmental education, professional development, online learning, social network analysis, and social innovation. 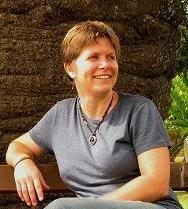 Erin Lloyd is Environmental Education Officer, at Brisbane City Council Environment Centres, Australia. Heila Lotz-Sisitka holds the Murray & Roberts Chair of Environmental Education and Sustainability at Rhodes University, South Africa. She has contributed actively to the inclusion of environment and human rights concerns in South Africa's National Curriculum Statement, and the SADC Regional Environmental Education Programme. She serves on UNESCO's International Reference Group of the UN Decade of Education for Sustainable Development and is editor of the Southern African Journal of Environmental Education. She co-ordinates the M.Ed (Environmental Education) programme at Rhodes University, and also supervises a number of PhD studies in Environmental Education, and served as the Scientific Chair of the World Environmental Education Congress in 2007. Teaching: Environmental Education and Research Methodology. Research Interests: Agency, capability, and social change; curriculum transformation; social learning; participation in education; critical research methodologies. Gregory Lowan-Trudeau is an Assistant Professor in the Department of First Nations Studies at the University of Northern British Columbia, Canada. As a Métis scholar and educator (of mixed Aboriginal and European ancestry), Greg's research and teaching interests lie at the intersection of Western and Indigenous ecological knowledge, philosophy, and pedagogy. Gordon MacLellan is a freelance environmental artist and storyteller based in the UK, with a background in zoology and formal education. The heart of his work is that "we live in a world worthy of celebration" and his creativity aims to offer people ways of exploring their relationship with the world through their own stories, poems, art. 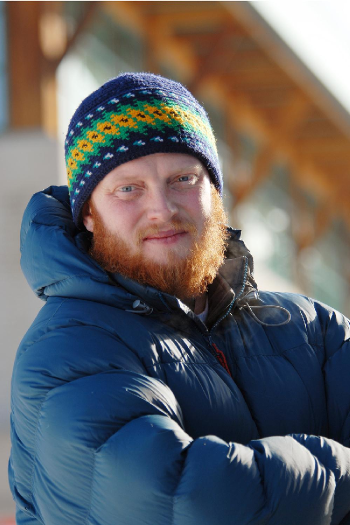 Pat Maher is an Associate Professor in Outdoor Recreation and Tourism Management within the Ecosystem Science and Management Program at the University of Northern British Columbia, Canada. Pat enjoys living and playing with his young family in the foothills of the Rocky Mountains, however, his research focuses on the Polar Regions – specifically how people learn from, live in, and become in love with these regions through their experiences with the natural and cultural surroundings. Pat was the founding chair of the international affiliation group within the Association for Experiential Education, and is currently the co-editor of the Journal of Experiential Education. 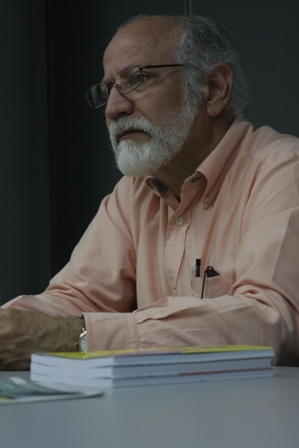 Álvaro Márquez-Fernández es Profesor Titular, Eméritus, de la Escuela de Filosofía de la Facultad de Humanidades y Educación, Universidad del Zulia, Maracaibo-Venezuela. Es Profesor del Doctorado en Ciencias Humanas de la Facultad de Humanidades y Educación; Doctorado en Gerencia Pública de la Facultad de Ciencias Económicas y Sociales, de LUZ;. Profesor e investigador del Centro de Filosofía para Niños y Niñas de la Facultad de Filosofía y Teología de la UNICA; Coordinador de la Maestría en Filosofía, mención Pensamiento latinoamericano, Universidad Cecilio Acosta. Entre sus línea de Investigación: Filosofía y Teoría Política en América Latina; “Ética y diálogo intercultural en América Latina”; “Postmodernidad y episteme pos racional”; “Racionalidad y crisis de la modernidad y praxis alternativas para el desarrollo sustentable”; ““Derechos humanos y filosofía intercultural”; Coautor de 13 libros, y más de 150 artículos arbitrados e indexados nacional e internacionalmente. Stien Johanna Matakupan’s path as a lecturer in Sampoerna School of Education (SSE) was set by her experiences as a high school science coordinator in an International Baccalaureate schools -Sekolah Ciputra-for 11 years and a facilitator for Environmental Education (EE), Education for Sustainable Development (ESD) and school link program, also a national judge for Adiwiyata School (national green school awards). 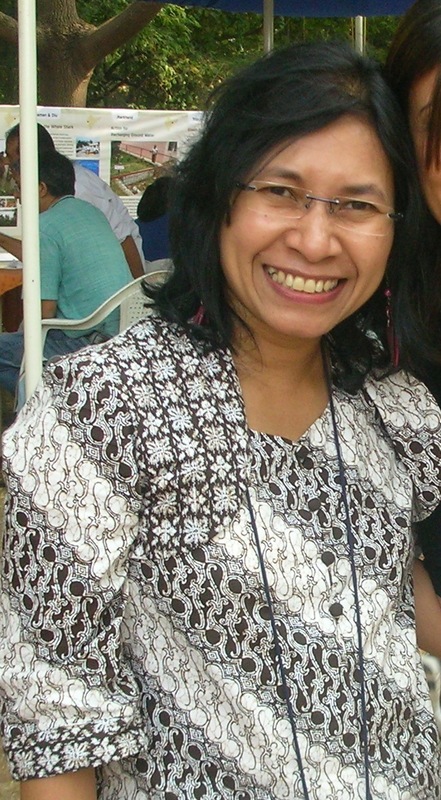 In 2001 she has been chosen as a council member of Caretakers of the Environment International, a network of educators who share their experiences and teaching techniques across the world and a contact person in Indonesia for The Time Project-UNESCO Associated School Project. In SSE Stien teaches Environmental Education and Research Method. Her research interests are EE/ESD integration in school curriculum, change process in school and experiential learning. Currently, Stien responsible as a coordinator for Education Studies in SSE and also a consultant for Indonesian Ministry of Education to formulate a national action plan for EE. Michela Mayer, Ph. D. in Scientific Education is a member of the Italian UNESCO commission for ESD and of the ENSI International network Steering Committee. She has been President of ENSI, member of the PISA Science expert group and of the UNECE expert group for the development of ESD indicators. 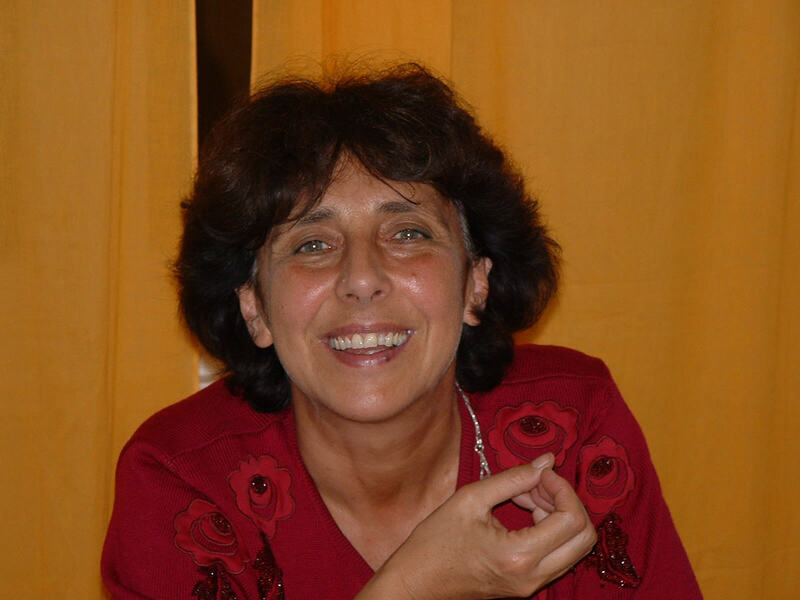 As responsible for research in the Italian National Institute for the Evaluation of the Educational System (INVALSI) she has been involved in many national and international Projects and initiatives related to EE and ESD, with a special focus on Evaluation. Tšepo Mokuku is a senior lecturer in science education and is currently the head of Department of Science Education, at the National University of Lesotho. 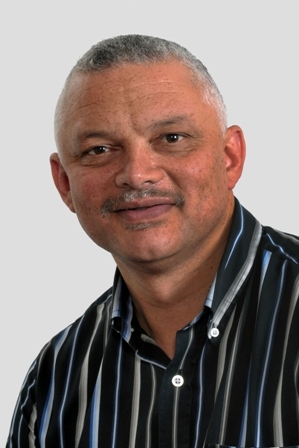 He has more than 15 years of experience as an educator and researcher, a year at Vista University in the Republic of South Africa in 1994, and about 14 years at the National University (NUL). His teaching and research experience in science and environmental education have deepened his understanding of the socio-economic conditions in Lesotho, with respect to education and environmental sustainability. His experiences and interests include research in biodiversity conservation and curriculum development, as well education for sustainable development. His career as an educator and researcher has largely been guided by his academic background and interest in community development through research project as well as environmental & sustainability education. Ana Pinto (de) Moura is a Food Engineer from the Portuguese Catholic University (ESB-UCP), with a PhD from the INPL-Nancy, France. 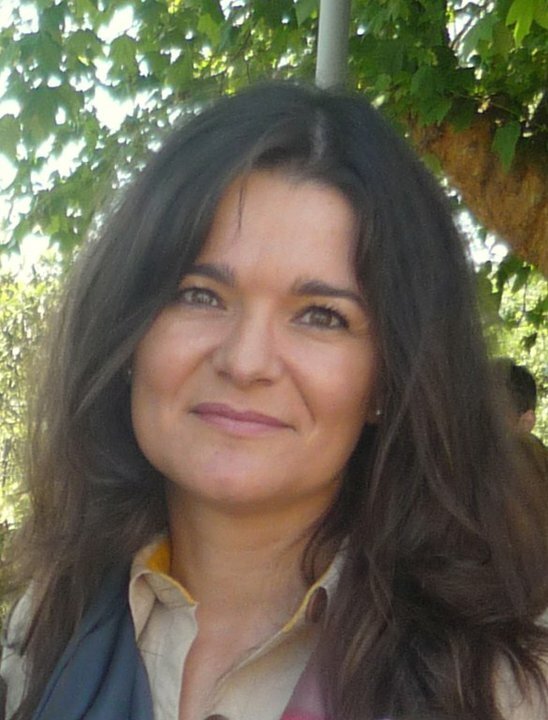 She is an Assistant Professor at the Universidade Aberta (Open University of Portugal), where she coordinates the distance learning (online) MSc course degree in Food Consumption Sciences. She is a researcher at the Food Quality and Safety research group from the Associated Laboratory REQUIMTE. Her main research topics relate to consumer behaviour towards food. She has specific interest in sustainable food consumption (organic foodstuffs, traditional food products), the role of traditional food products on rural development, food risk perception, attitudes towards food and nutrition, and perception of nutrition information. 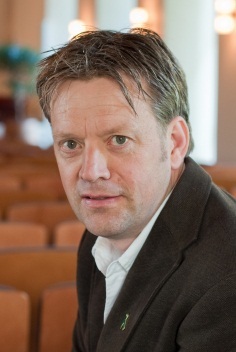 Blair Niblett is professor at Lakehead University, Canada. 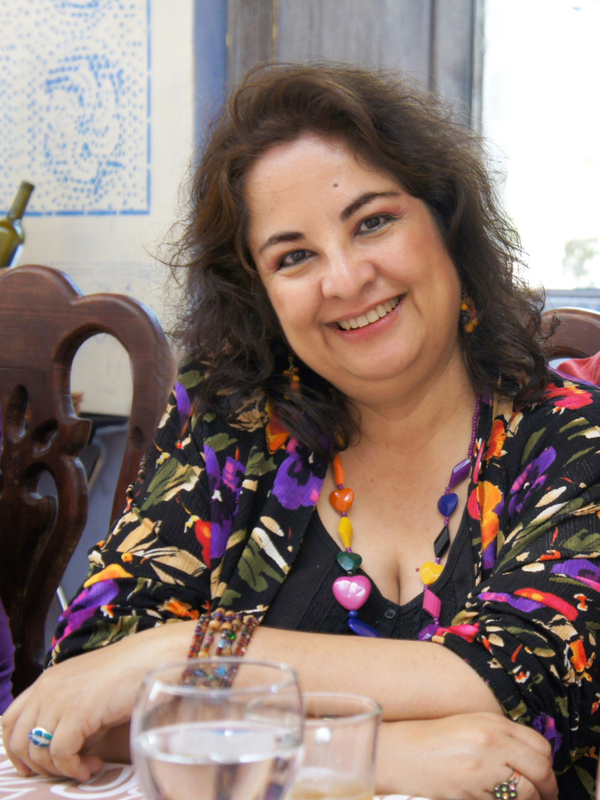 Luz María Nieto Caraveo es Secretaria Académica de la Universidad Autónoma de San Luis Potosí (UASLP), Mexico desde 2004. Profesora del Programa Multidisciplinario de Posgrado en Ciencias Ambientales. Área de Investigación: Educación ambiental y desarrollo sostenible en los niveles técnico y superior: incorporación de la perspectiva ambiental al currículum, diseño y evaluación curricular: construcción social de los currículos profesionales, análisis del contexto profesional; innovación, flexibilidad y pertinencia curricular; énfasis en los niveles técnico y superior (licenciatura y posgrado); nuevos modelos pedagógicos y nuevas tecnologías de información y comunicación en educación superior. Yuko Oguri is Associate Professor, Kagoshima University, Research and Education Center for Lifelong Learning, Japan. Her interest has always been in sustainable community development and community education. One of the recent research areas is Jimotogaku – a theory of bottom-up method and idea to create a sustainable living culture born in Japan. It underlines the importance of the ties of the relation in the community and its self-autonomy. Another area is ethnological environmental education. Lausanne Laura Olvitt is Lecturer in Environmental education, Environmental Learning Research Centre, Rhodes University, Education Department. Her PhD investigation is about ethics-oriented learning of novice environmental educators. 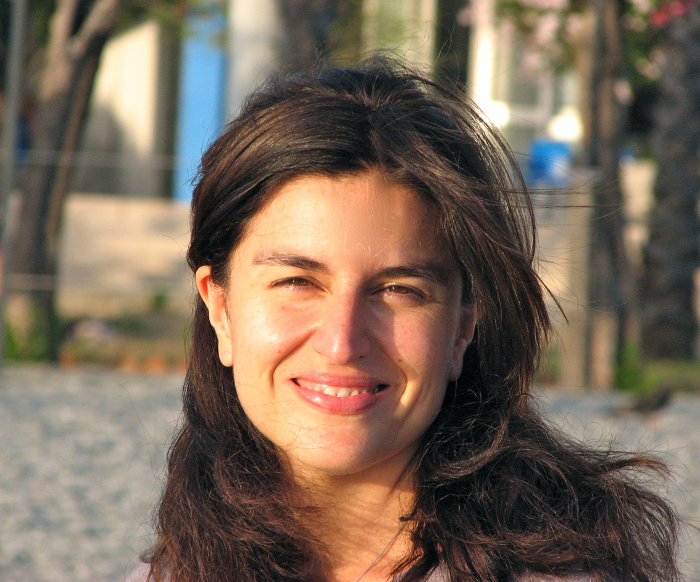 Isabel Orellana, Professeure Département de didactique, Centre de recherche en éducation, environnement et écocitoyenneté, Faculté des sciences de l'éducation, Université du Québec à Montréal, Canada. Los temas de su interés son la EA y la justicia ambiental, la equidad socioécológica y ciudadanía socioecológica así como el diálogo intercultural y la contribución de la educación ambiental a este proceso; y la investigación en EA. Dario Padovan is assistant professor of Sociology at the University of Turin, Italy and he is member of the Department of Cultures Politics and Society. He works since long time in history of social sciences, bio-politics, racism and prejudice, fear of crime and insecurity, environmental sociology, environmental accounting and societal metabolism, urban sustainability and sociology of sustainability. He is member of Esa Research Network 31 on “Race Relations, antisemitism and racism” and of the European Group for the Study of Deviance and Social Control. Thierry Pardo est membre du Centre de recherche en éducation et formation relatives à l’environnement et à l’écocitoyenneté, Université du Québec à Montréal, Canada. Thierry oeuvre depuis une vingtaine d'années dans le champ de l'éducation relative à l'environnement. Ses débuts de praticiens l'ont rapidement conduits à assumer les fonctions de formateur notamment pour la Commission Jeunesse de l'Union Européenne, ou celles d'agent de recherche dans l'équipe de Lucie Sauvé à la Chaire de recherche du Canada en éducation et formation relatives à l'environnement et à l'écocitoyenneté de l'UQAM. Auteur de plusieurs essais, il s'intéresse aux voies d'éducations alternatives, aux pédagogies en vigueur dans les sociétés traditionnelles et au dialogue éducatif entre institutions et traditions. Christine Partoune, Université de Liège et Institut d'Eco-pédagogie Laboratoire de méthodologie de la géographie, Belgique. Phillip Payne is Professor at the Monash University, Australia. His research interests are Curriculum theory; philosophy of nature; environmental education research, critical social science and Eco-phenomenology. Maria Cecilia Focesi Pelicioni es Profesora Asociada de la Faculdade de Saúde Pública da Usp – Universidade de São Paulo, Brasil. Área de Investigación: educación, salud y medio ambiente con enfoque de promoción de la salud y educación ambiental. Joaquim Ramos Pinto es Presidente de la “Assocação Internacional de Investigadores em Educação Ambiental” (NEREA Investiga) y de la “Associação Portuguesa de Educação Ambiental” (ASPEA). Sus principales áreas de investigación son: Ciências de la Educación / Pedagogia Social – Educación Ambiental. Otras áreas de interés: Ciências Sociais / Sociologia - Participação Social; Sustentabilidade Local; Desenvolvimento Local. Ana Maria Preve es profesora del Departamiento de Geografia/DGeo, Centro de Ciências Humanas e da Educação/FAED, Universidade do Estado de Santa Catarina/UDESC, Brasil. Ana actua en las siguientes líneas de investigación: Educación, Comunicación y Tecnologia; Práticas pedagógicas y diferentes lenguajes, lenguajes geográficos; Formação de profesores en geografia y educación ambiental Fronteras culturales, Educación ambiental en las escuelas y espacios informales, Educación ambiental y Estudios culturales, Educación, Teoria y Prática pedagógica; Geografia, imágenes y Educación. Gayatri Raghwa, Lead, Environmental Education Officer, Environmental and Awareness Division, Environment Agency- Abu Dhabi, United Arab Emirates. Ravi Ravindranath is Senior Specialist in Teacher Education at the Centre for Environment Education (CEE India). His research interests are: Pre and In-service Teacher Education at the school level, Teacher Education Curriculum, evaluation. At CEE, he has been involved with several projects of National and International significance. He designed and evolved a communication strategy popularly called as "Cluster approach to Environmental Education", for promoting Environmental Education in schools and non-governmental organizations through effective training, monitoring and follow up. He was the National Coordinator for the UNESCO Project on "Attitudes and Values of Youth towards Environment in Asia-Pacific Region". He has published more than 110 articles and papers and has been a member of many academic institutions including International Union for the Conservation of Nature (CEC- IUCN), UNESCO, UNESCO-UNIVOC, Germany, and a Visiting Fellow to a few Indian Universities. Marcos Antonio Dos Santos Reigota es Profesor del Programa de Posgrado en Educación, Universidad de Sorocaba, São Paulo, Brasil. Dotor por la Universidad Católica de Louvain. Pós-doutor en la Universidad de Genebra. É editor de la Revista de Estudos Universitários; miembro honorário de la Academia Nacional de Educación Ambiental de México. Fue coordinador del GE Educación Ambiental de la Anped. Recibió de la Orden de los Advogados de Brasil (São Carlos-SP), em 1998, el prêmio de "Personalidade do Meio Ambiente". En 2005 fue homenajeado por la Universidad Pedagógica Veracruzana de México y en 2006 por la Associação Promissense Olho d`água de Proteção. Ambiental de Promissão-SP. Linéas de investigación: Cotidiano Escolar, Práticas Pedagógicas y Medio Ambiente. Entre los proyectos de investigación: O estado da arte da educação ambiental no Brasil ; Discursos dos movimentos sociais e dos governos latino-americanos sobre a natureza e a educação ambiental escolar; A natureza e o cotidiano escolar em textos literários contemporâneos e as suas relações com a educação ambiental. Romina Rodela is a researcher working in the interdisciplinary field of environmental governance with a background in natural resource management and with a research interest in social learning, participatory approaches, common pool resources and in nature protection as a social and political process. Juan Pablo Sanzetenea, es consultor en linea para la Universidad Autónoma Gabriel René Moreno (UAGRM), Bolivia en el marco del proyecto “Ecodesarrollo Comunitario y salud Ambiental”, ECOMINGA (proyecto de cooperación inter-universitaria, red UNAMAZ con la Universidad de Québec en Montreal) para el desarrollo de competencias dentro de las comunidades, enfocando la seguridad alimentaria y una gestión apropiada del agua. Entre las actividades realizadas: elaboración de un Manual sobre Tecnologías apropiadas y un conjunto de documentos, denominado “Paquete de Jasayés”; Propuesta didáctica pedagógica para el andamiaje y construcción del conocimiento a partir de las tecnologías apropiadas; Manual de tecnologías apropiadas para el manejo integral del agua comunitaria; Propuesta de diseño curricular para la Formación de Líderes en Ecodesarrollo. Lucie Sauvé est Professeure titulaire du Département de didactique de l’Université du Québec à Montréal (UQAM). Elle est directrice du Centre de recherche en éducation et formation relatives à l'environnement et à l'écocitoyenneté; membre de l'Institut des sciences de l'environnement et chercheure associée au réseau Dialog sur les questions autochtones; est directrice du projet de coopération interuniversitaire (UQAM - réseau UNAMAZ/ Université du Québec à Montréal): "Écodéveloppement et santé environnementale en Amazonie bolivienne". Ses principaux domaines de spécialisation actuels ont trait à la dimension éducative des mouvements sociaux et des initiatives d’écodéveloppement, à l’éducation relative à la santé environnementale et aux enjeux de la formation des éducateurs, en particulier celle des écoleaders en contexte de coopération international. Sandro Cozza Sayão es profesor del programa de Pós-grado Maestria y Dotorado en Filosofia y Profesor del programa de Pós-grado Maestria en Derechos Humanos, Universidade Federal de Pernambuco (UFPE), Departamento de Filosofia y Miembro del Núcleo de Ciência y Cultura de Paz. Área de Investigación: “O sentido do Humano em Emmanuel Levinas, Michael Foucautl, Jean-Paul Sartre: o argumento da paz e outras reflexões”, “Humanidade e Direitos - a questão dos direitos humanos e seus fundamentos”. 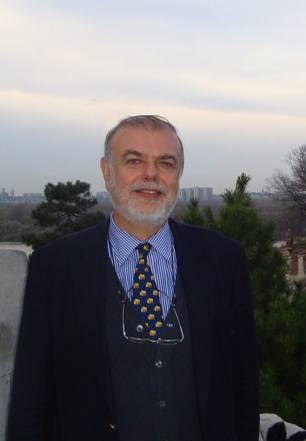 Michael Scoullos, Professor of Environmental Chemistry at the University of Athens; Director of the Laboratory of Environmental Chemistry; chairholder of the UNESCO Chair and Network on Management and Education for Sustainable Development in the Mediterranean. He has worked for many decades on Environmental Education (EE) and Education for Sustainable Development (ESD). Among others he has chaired the UNESCO conference of Thessaloniki (1997) and is currently key expert in UNECE’s work following the UN Decade on ESD (2005-2014). He is chairman of MIO-ECSDE, the largest Federation of environmental and sustainable development NGOs from Mediterranean countries (www.mio-ecsde.org) and coordinates MEdIES, an electronic network of formal and non formal educators working on ESD issues (www.medies.net). Marcel Sow est chargé du programme d’éducation relative à l’environnement à l’Université de Conakry, Guinée. Il a travaillé comme Consultant du Programme des aires marines protégées pour l’Afrique de L’ouest sur l’étude des sites naturels sacrés ; Consultant du Projet pilote : « Aménagement participatif des pêches en zone côtière » Technologie de la pêche » du programme pour des moyens d’existence durables dans la pêche (PMEDP) ; Consultant dans le projet sous-regional « pratiques culturelles et biodiversité en Afrique Subsaharienne ». Stephen Sterling is Professor of Sustainability Education, Centre for Sustainable Futures (CSF) at Plymouth University, UK and an advisor to the UK Higher Education Academy on Education for Sustainable Development (ESD). He has been widely recognized for many years as one of the leading voices in sustainability education. He also co-founded the first masters course in the UK on sustainability education (at London South Bank University), and led the WWF project on systems thinking Linking Thinking – new perspectives on thinking and learning for sustainability. His research interests lie in the interrelationships between ecological thinking, systemic change, and learning at individual and institutional scales to help meet the challenge of accelerating the educational response to the sustainability agenda. His work at CSF involves leading the research team on sustainability education, and developing strategies to support curriculum change across the institution. Valentina C. Tassone is lecturer at Wageningen University, Education and Competence Studies Chair Group, the Netherlands. She is researcher, teacher and practitioner in the field of human development and capacity building for sustainability and quality of life. Valentina has conducted scientific research, consultancy and educational activities especially focusing on participatory processes, governance, cross-boundary education, mindsets and competence development for sustainability. She has worked in interdisciplinary projects funded by the EU, WWF, IUCN World Union, and many other international organizations. Keith Tidbal is Senior Extension Associate in the Department of Natural Resources, Cornell University. Associate Director, Cornell Civic Ecology Lab (CEL) Theme Leader, Environmental Dimensions of Human Security, New York State Extension Disaster Education Network Coordinator Faculty Fellow, David R. Atkinson Centre for a Sustainable Future Author of: “Greening in the red zone. Green space and disaster resistance, recovery and resilience”. - “Urgent Biophilia: Human-Nature Interactions and Biological Attractions in Disaster Resilience” journal “Ecology & Society. Maritza Torres Carrasco es Coordinadora del Programa Nacional de Educación Ambiental del Ministerio de Educación de Colombia y Docente investigadora de la Facultad de Medio Ambiente y Recursos Naturales de la Universidad Distrital Francisco José de Caldas, Bogotá. Her research interests focus on “Environmental Education and Public Policy”; Incorporation of environmental education in the intentions, actions and projections of formal, non-formal and informal school; Research and Environmental Education. Ali Van der Graaf holds a master degree in Environmental Education from Griffith University, Australia. She is a member of the Australian Association for Environmental Education and is an experienced practitioner in community environmental education, curriculum development, education for sustainability in primary and secondary school contexts. Ali has also managed and evaluated projects in environmental interpretation, sense of place and ecological identity. She is currently working with Heritage Education programs and strategies for the Department of Environment and Heritage Protection in Brisbane, Queensland. Ali is a passionate advocate and researcher for youth engagement in EfS. Pedro Vega Marcote, is an associate professor of Environmental Education and Sustainable Development in the Department of Pedagogy and Didactics, Faculty of Educational Sciences, University of Coruña, Spain. He has carried out research in Environmental Education, Ecological Footprint, and the implementation of Agenda 21 in Universities and Municipalities. 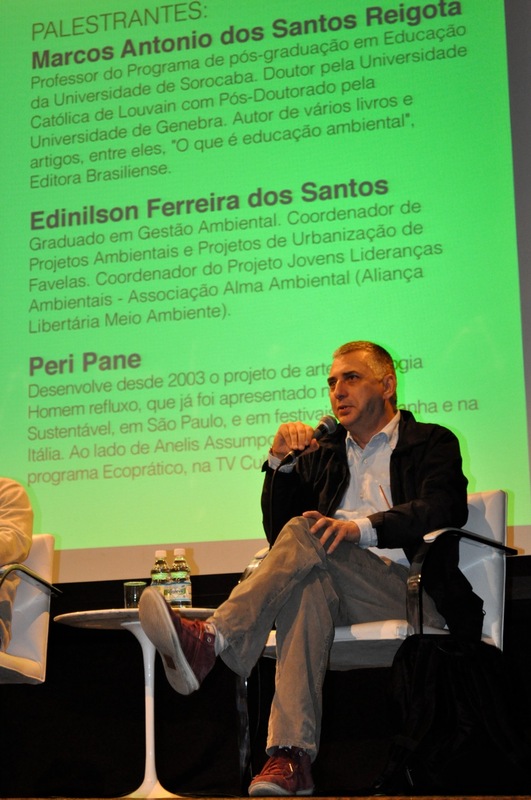 He has lectured in many universities and has published on Environmental Education and Sustainable Development. Carine Villemagne est professeure agrégée en éducation des adultes, Université de Sherbrooke, Canada, Département d'étude sur l'adaptation scolaire, Faculté d'éducation. Est membre fondateur du Centr’ERE (Centre de recherche sur l’éducation relative à l’environnement et l’écocitoyenneté), Université du Québec à Montréal. Intérêts de recherche: Éducation relative à l’environnement des adultes, engagement éco-citoyen, action communautaire, alphabétisation des adultes. Yolanda Ziaka is Economist, PhD in Environmental Education and Master in Visual Arts and Art Sciences. She coordinates Polis - International Network in Environmental Education, Greece. She is author of several books and articles on Environmental Education, pedagogical and art issues in Greek, French and English.